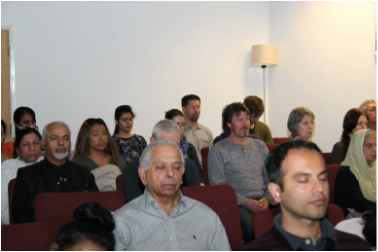 People of all faiths and backgrounds are most welcome to attend Satsangs, which are conducted in English, with brief readings in Hindi. Please feel free to bring along family and friends who are interested in Meditation. All are welcome. No charges or reservations required. We have a children's and teen group too and they enjoy a range enjoyable activities focusing on unity and peace. Regular one day or weekend meditation retreats take place every quarter. These retreats aim to encourage deep relaxation and spiritual progress. Green Gate Bio Packaging in our efforts to minimize environmental impact.